ENGAGE Talent, an artificial intelligence software company that provides predictive insights that enable employers to strategically source, target and engage with candidates, today announced a partnership with HonorVet Technologies, a technology-driven talent search staffing firm driven to eradicate the alarming underemployment rate affecting military veterans. According to a Syracuse University survey, 43% of veterans leave their first civilian job within their first year, and 80% leave before the end of their second year, citing a lack of opportunity for career advancement and personal development. "Our science identifies misalignment between people, roles, and companies in dynamic markets. This misalignment is especially common in veterans returning to the workforce," ENGAGE Talent CEO Joseph Hanna said. "We are excited to work with HonorVet to help fix this problem, and to help returning veterans increase their job satisfaction and productivity." "Many recruiters don't have enough experience in placing veterans in civilian workplaces," HonorVet COO Asheesh Mahajan said. "As a consequence, many veterans find themselves going to the Department of Veteran Affairs and other so-called 'soft landing-pads,' including police, firefighting and defense contractor roles. These areas provide job opportunities, but are often not ideal roles for these veterans." HonorVet, a certified Service Disabled Veteran Owned Small Business (SDVOSB), is in a unique position to understand the issues affecting veterans daily as they return to the workforce. The combination of HonorVet's recruiting expertise combined with ENGAGE's AI-powered sourcing engine will provide a powerful way to address the misalignment issues affecting thousands of returning veterans today. ENGAGE is the world's first AI-powered platform to combine Talent Mapping, Competitive Intelligence, Passive Candidate Sourcing, and Outbound Recruiting in one brilliant Talent Targeting and Engagement engine. ENGAGE enables active recruiters to efficiently source from a live stream of over 100 million passive candidates or enrich their own CRM and ATS candidates with predictive, AI based insights. ENGAGE continuously monitors your candidates and alerts you with predictive availability signals when a candidate is likely ready for a new opportunity. Recruiters who leverage ENGAGE's predictive analytics are able to more than double their candidate engagement rates. 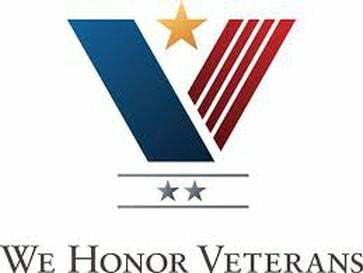 HonorVet is a boutique IT Services and Technology company. It's disrupting Talent Acquisition with advanced recruitment solutions, a unique combination of Predictive Analysis, Artificial Intelligence, Processes, and Methodologies to support the firm's "High Touch" Expertise. HonorVet's purpose is to lower the underemployment rate in the Veteran Community by providing them with best-fit opportunities in civilian workplaces. These tools and processes are already successful in the placement of traditional non-veteran candidates. HonorVet partners with a wide range of successful companies, ranging in size from small business to Fortune 500 firms to help them attract, select, and retain quality talent. For more information on HonorVet Technologies, please visit http://www.honorvettech.com.